Many users are said to have problems with the ringtones after updating their phone to iOS 12. It was said that most of the times when a call comes through, the ringtone not work on iOS 12. This article will teach you how to fix that. This article will teach you not only how to fix ringtone not working after an update, but will also teach you how to make ringtones your own way without even using iTunes. It’s possible that you’ve mistakenly tapped on the mute button, to confirm that that is not the case, check the left side of the device, if a small and red line is visible, then the mute mode is on, all you have to do is to pull the switch towards the screen to make sure the ringer is back on. Just because you are hearing another sound on your phone doesn’t automatically mean that your ringer volume is on, the ring volume is set independently from the rest of the sounds. So, go to Settings > Sound and Haptics > then move the slider all the way to the right to turn on your ringer volume. Restarting a phone can refresh the settings on the phone making it work better, to restart your iPhone to see if that’s the problem, press and hold the Sleep/Wake button until you get an option to “Slide to power off” appears and turn it on after some few seconds. Turning on the Do Not Disturb mode ensure that all your notifications are silenced. To check if this is the case, go to Settings > tap on the Do Not Disturb > then turn Do not Disturb off. It is possible that a faulty speaker is what is wrong with your phone. You can confirm this by contacting Apple or going to Apple Store to repair. After trying these tips, the iOS 12 ringtone not working after updating problem should be fixed right now. 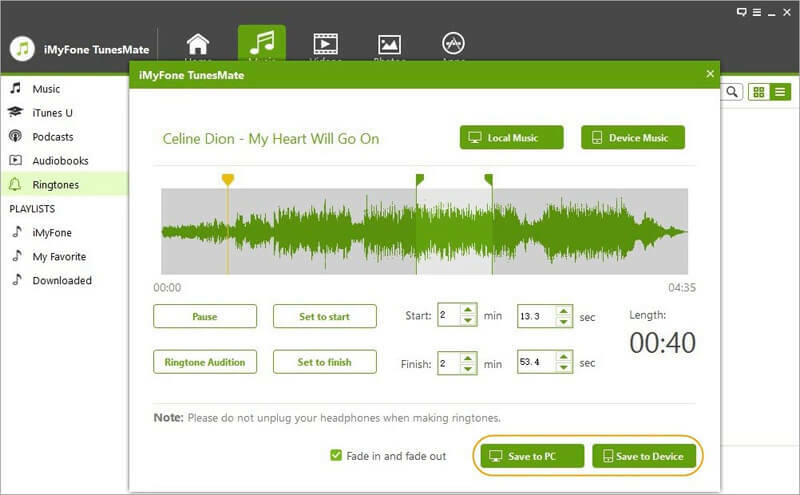 Now you can start to create your own ringtones for your iPhone. Once the iOS 12 ringtone not working problem has been fixed, it is time to make your own ringtones and you can add it to your iPhone without using the iTunes. 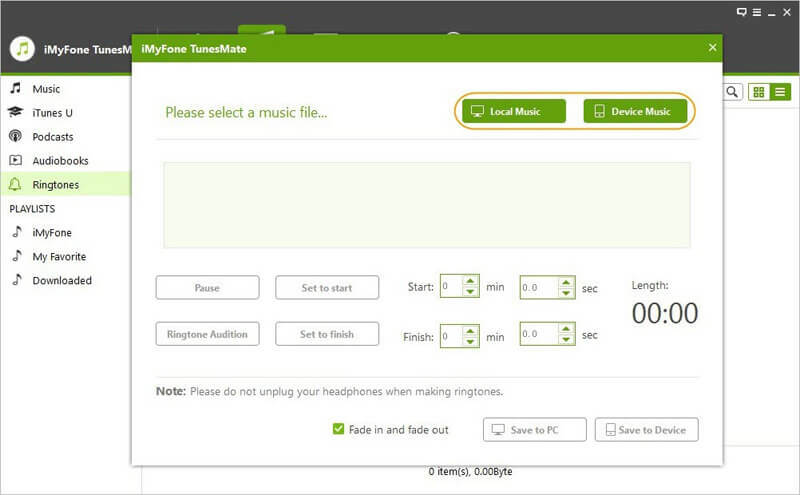 Using iMyFone TunesMate Music Manager will be a good idea, as it can help you make your own ringtones and keep it directly on your device. It can help you transfer data between your iOS, iTUnes and even your computer without even opening your iTunes. You can make your own ringtones from your favorite songs from iPhone or computer. You can preview ringtone before saving ringtones to iPhone or computer. You can freely transfer tones from iPhone to computer, or from computer to iPhone. 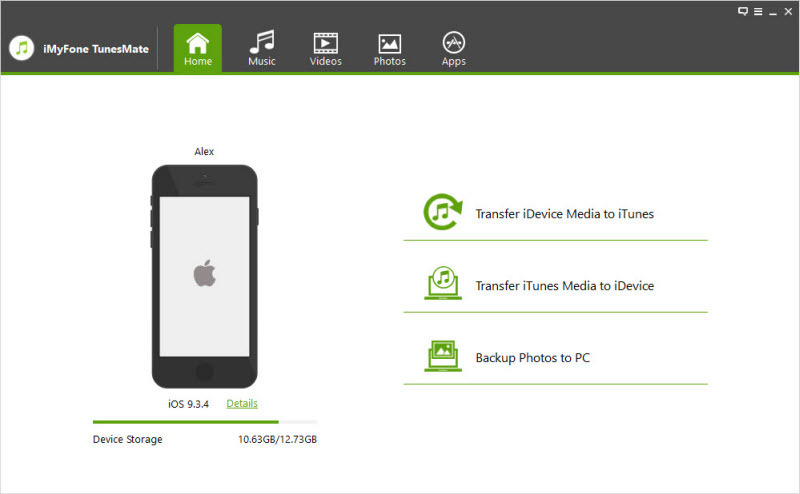 You can transfer various kinds of media files like music, videos, ringtones, photos etc. You get the "Fade in and Fade out" effect on your chosen ringtones. Step 1: Connect your iPhone to your computer and then run the iMyFone TunesMate. 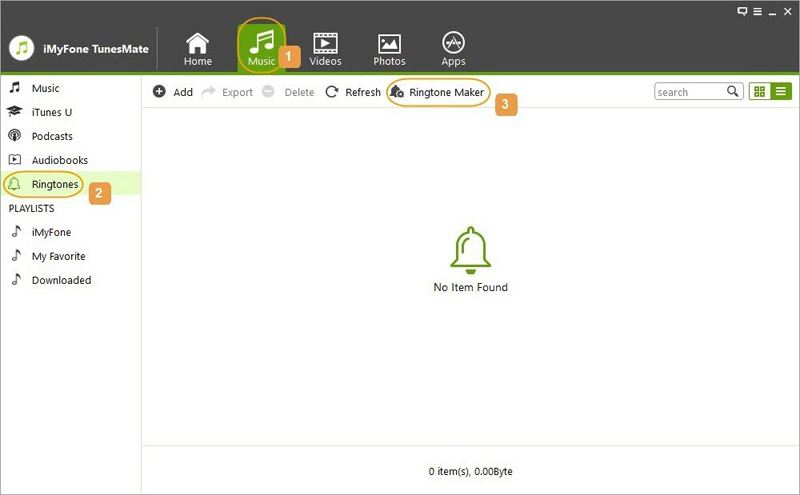 Step 2: Select Music>Ringtones>Ringtone maker, and then select a song from your iPhone/computer. Step 3: Set the start and finish time by using the light-grey area on the software. Step 4: Save the ringtone to your iPhone or computer by click on “Save to Device” or “Save to PC”. With the iMyFone TunesMate it’s possible to make your own ringtone and add it to your iPhone without using iTunes. So, why not download those songs that you love and make them your ringtone.